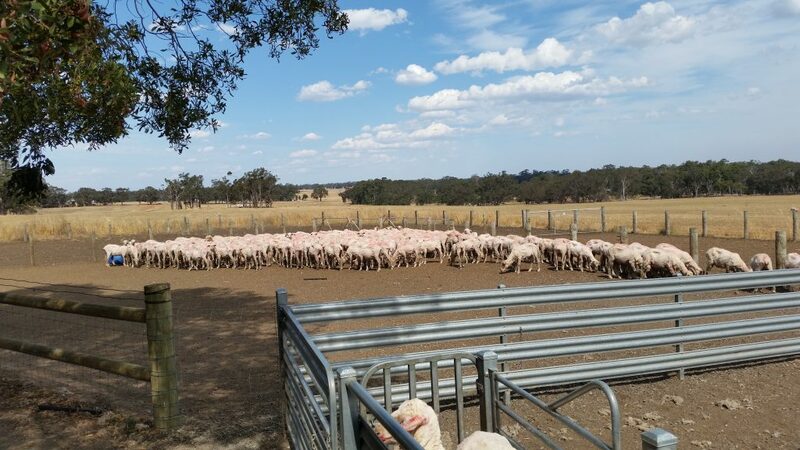 AWI’s (Australian Wool Innovation) Live & Breathe Campaign set out to educate a new generation of consumers about the technical performance benefits of Australian Merino wool. What better way to showcase wool’s performance benefits than have commercially available wool products tested by a group of top athletes – which is exactly what The Woolmark Company did as part of its Live & Breathe marketing campaign . With its unrivaled breathability, moisture management properties and odour control, there’s no denying that wool is the ultimate performance fibre. To prove it, AWI’s marketing arm, The Woolmark Company, put wool to the ultimate test – as part of the company’s Live & Breathe consumer marketing campaign – with three Australian athletes wearing head-to-toe wool for their workouts. Beyond the Bale, Live & Breath Campaign, Issue 77 Dec. 2018, pg 6-8. New inspirations from our travels in the Pilbarra Region of Western Australia. From left to right: Paj Silk Fabric (click here to view), Superfine Merino wool tops (click here to view), Silk Mesh fabric (click here to view). Nancy will be teaching a series of workshop May-July, 2019. There are a few spots still available in the following workshop. Please contact Nancy or the workshop coordinator for further information. This a fabulous concept – replacing micro plastics with silk! By controlling the process of making the liquid silk, silk molecules can be created in different sizes to perform different functions. “The acids and the enzymes in our digestive system can easily degrade silk, whereas the enzymes are not tailored to breaking down non-protein entities such as a synthetic plastic,” Altman says. Similarly, bacteria can easily degrade silk if it’s composted, and if a product made with liquid silk entered the ocean, fish and plankton could safely digest it. 2018 was an unpredictable year for the Chinese Silk Market. 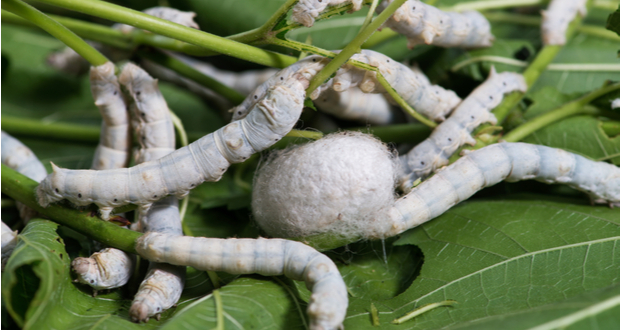 On a good note the cocoon production rebounded, which has slightly eased the incredibly high export prices for silk. However, the impending Trade War between the USA and China is set to have detrimental effects on the price of Silk fabric and Wool (raw and tops) being imported into the USA. Since August 2018 a new tariffs have been proposed to bump the tariff from 10% to 25%. More talks are scheduled this week (1 Feb 2019), the final outcome is still in flux. The long and short of the USA/China trade war is that craft supplies like Silk fabrics and Wool are likely to soon be costing more if you live in America. The implications for the rest of the world are still unknown. Since 2015 Australia and China have had a free trade agreement in place, consequently the prices for our Treetops silk and wool products will not be effected by any new tariffs! What a Year for Australian Wool! For the year of 2018, Australian Wool industries have seen record breaking prices! Australian wool prices are predicted to remain high in the coming year due to improved demand and limited supply. The superfine market <18.5 micron has seen considerable growth due to demand of the ‘next to skin’ market (ie think sportswear like IceBreaker). Fine wool prices (19 micron- 21 microns), where the bulk of the Australian clip is captured, has also performed well. This past season, 46% of the Australia’s wool clip was between 18.5 and 21.5 micron. Merino wool is increasingly being used as the key ingredient in footwear, with the high performance fibre giving consumers the natural edge over its synthetic rivals. AWI’s (Australian Wool Innovation) technical team has been working to create shoes that not only allow the foot to breathe, wick away moisture and are resistant to odour, but importantly are comfortable to wear. For example, by combining yarns together and using three dimensional knitting, the entire upper of the shoe can be seamless, free of cutting and sewing. adidas, Baabuk, Giesswein, Le Mounton and Z Zegna are just some of the popular brands on the market today. The most recent brand to hit the ground running is Neeman’s – the first brand to come out of India to include Merino wool in footwear. Designed in London, the shoes are made from some of the finest Merino wool from Australia, with the insoles made from plantbased castor bean oil and recycled rubber, which offers comfort through all seasons in India. The sock-free, odour resistant, flexible and lightweight shoes inherit all the ecocredentials of Merino wool. Beyond the Bale, Running with Wool , Issue 77 Dec. 2018, pg 33. Study To Ask: Why are Australia’s Merino stock levels declining? Acknowledging the shrinking size of Australia’s sheep flock throughout the past 20 years, Anthony Close from Victoria said his focus of his Nuffield studies will be researching the range of factors that have caused this reduction, comparing the industry with those overseas to gain a better understanding of what makes progressive industries grow and prosper. “In 1992 the national sheep flock was 150 million head, and produced 4.75 million bales of wool. In 2018, the flock is 70 million head, and will produce two million bales,” he said. MORE INFORMATION: Information on previous AWI Nuffield woolgrower scholars and their reports are available at www.wool.com/nuffield. Beyond the Bale, Nuffield Studies Aim to Boost Merino Flocks , Issue 77 Dec. 2018, pg 73. Australian woolgrowers have been awarded with the inaugural Eco Stewardship Award at this year’s Green Carpet Fashion Awards held as the conclusion of Milan Fashion Week. The award recognises the commitment to the environment demonstrated by the tens of thousands of woolgrowers across the country. Beyond the Bale, Australian Wool Growing Receives Eco Award, Issue 77 Dec. 2018, pg 14.